Open data on the web makes it possible to take information on research from many sources, and to generate ‘mash-ups’ that make it available in different places, on different platforms, and in ways that support action and impact. Open data can be remixed to answer key questions in ways that were not possible before. One of the most interesting developments in the R4D project, which we have been supporting with CommsConsult and CABI, has been converting the metadata in the R4D database of DfID funded research to Open and Linked Data formats. 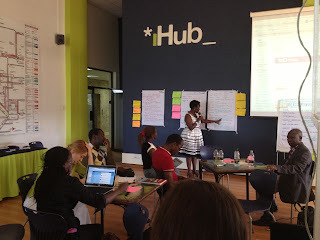 The Institute for Development Studies (IDS) ELDIS team have been travelling in the same direction - working to open up access to their research information including by creating open APIs allowing anyone to tap into their 15+ years of curated development research. The rationale for this is that every year institutions, researchers and practitioners generate thousands of datasets, reports and articles about development issues. To give some idea of scale, DfID funds £200 million worth of research every year. Yet, much of this knowledge remains underused, locked away in online repositories such as R4D and ELDIS. We tested this, perhaps a little unfairly, by asking the participants during the first day of the Hackathon we're working on this week in Nairobi, most of whom were subject experts we'd invited to provide context and scenarios for the developers to get their teeth into, how much they used either R4D or ELDIS data. About half had accessed the sites, very few accessed them more than once or twice a year. Yet these were researchers, information scientists and knowledge workers with intermediary NGOs like ALIN, all prime targets from the materials. "Hackathons" (also known as a hackfest or hack day) are events in which computer programmers join forces with a number of other experts, such as designers, investors, project managers, and spend a short intense period together to develop technical ideas and solutions. The Research to Impact hackathon is focusing on the research data from R4D, ELDIS and other relevant sources - including those from Kenya such as KAINET - relating to agriculture and nutrition. 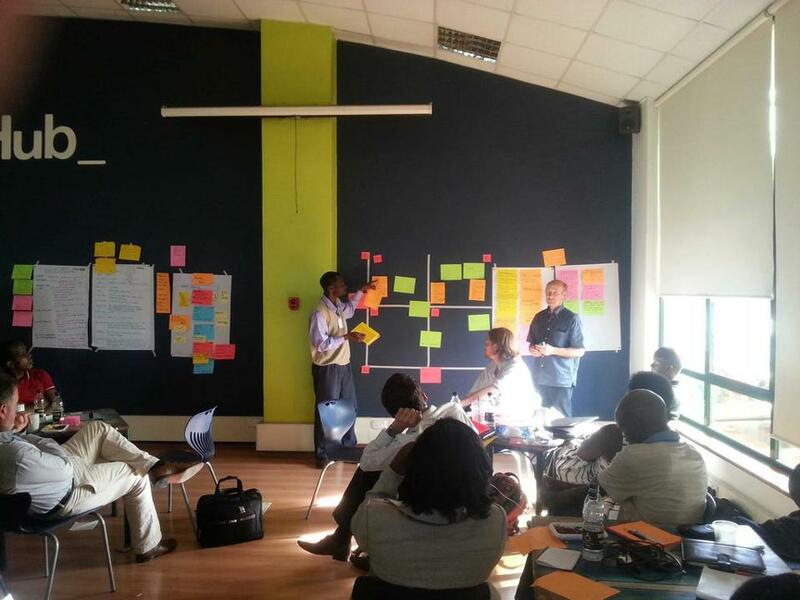 We brought together subject matter experts with technical developers to explore and create innovative prototypes to increase the use and impact of research in development. The hackathon is being at the Nairobi iHub by iHub Research, a new programme within this open innovation space. The first day focused on generating scenarios - use cases - for the developers to work on. We started by asking participants to identify some of the reasons that research data isn't accessed or used. The group then selected seven typical 'user types' who represent key potential audiences for the data. 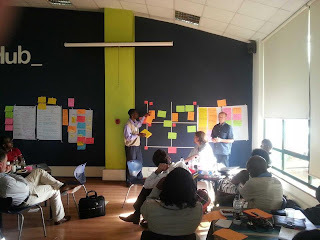 These personas included extension workers, researchers and knowledge workers - key intermediary roles for re-purposing data and linking with primary players in the agricultural value chain such as farmers, input suppliers and market intermediaries. The group also prioritised fleshing out the role of policy actors, key to addressing the whole range of issues which impact those working directly in agriculture. Working in groups these types were profiled and linked to the challenges previously identified. After rapid peer review specific 'triggers' were identified for each of the personas, things which might motivate them to change their behaviour in relation to the data. The personas will be shared in the EuforicWeb wiki as the Hackathon develops. A group of developers joined in the afternoon. They were presented with the personas and had time to interrogate the subject specialists. We finished with an ideation session, when all participants were given 10 minutes to come up with at least 10 suggestions for technical developments - mobile or pad apps, web widgets or small pieces of linking or bridging code. Those ideas were located on a matrix representing high/low impact, high/low viability - in terms of being able to develop a proof of concept in the succeeding two days. There were an extraordinary number and range of ideas, both creative and very applied. The ideas which were voted as high/high will be taken into the hackdays to help kick-start the process.